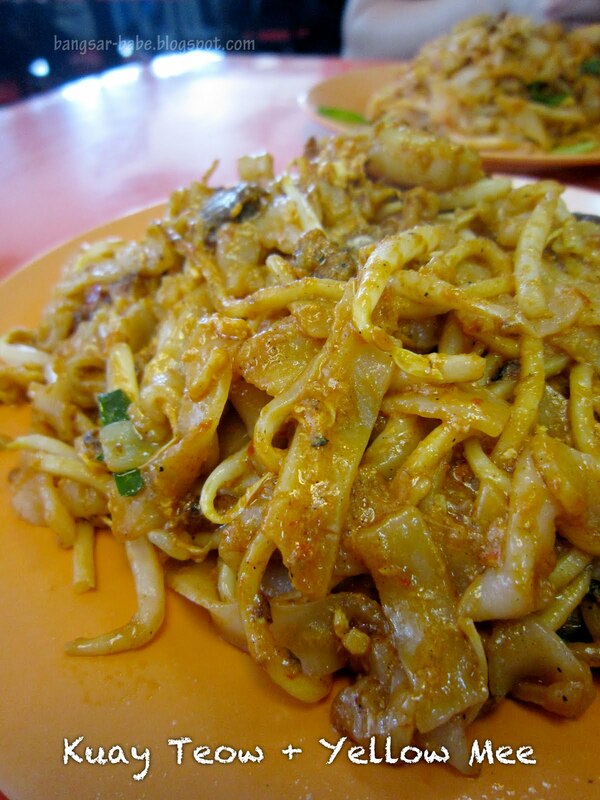 One of my readers asked me if I knew where she could find tasty and halal char kuay teow. I thought long and hard, but couldn’t give her a good answer. In my opinion, a good plate of char kuay teow has to contain these key ingredients — pork lard, lap cheong, prawns and cockles. Without these, especially the first two, char kuay teow is almost not worth eating. Or so I thought. 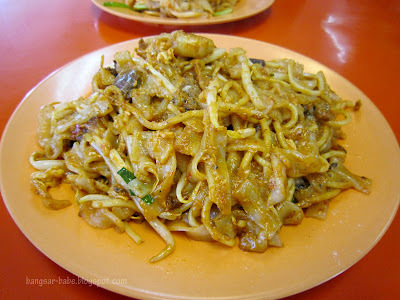 Aunty Gemuk is said to serve one of the best char kuay teow in Klang Valley, and it’s halal. She operates her stall at Restoran Jamal Mohamed in SS5. Every table had a few plates of char kuay teow when I was there, enough to surmise that majority of the patrons were there for her CKT. Despite the crowd, we didn’t have to wait long for our order (10 minutes). A small plate cost RM4, while a large serving is RM4.50. The noodles had a red tinge, possibly from the addition of chilli paste. I was quite pleased that it had a good dose of “wok hei” and still-bloody cockles. Each bite had a spicy and deliciously smoky flavour, While Robert’s CKT still remains my favourite, this is quite good for a halal version. One of the foursquare tips there mentioned that the curry lakes was worth a try. However, this was nothing to shout about. For RM4.50, portion was scant and there was hardly any chicken strips included. I found the curry gravy watery and lacking is flavour and spice. The saving grace was the sambal, which gave the curry a bit more kick. Restoran Jamal Mohamed is opposite Wisma FAM in Kelana Jaya. Do get there early or after lunch hours, as the place gets pretty crowded. 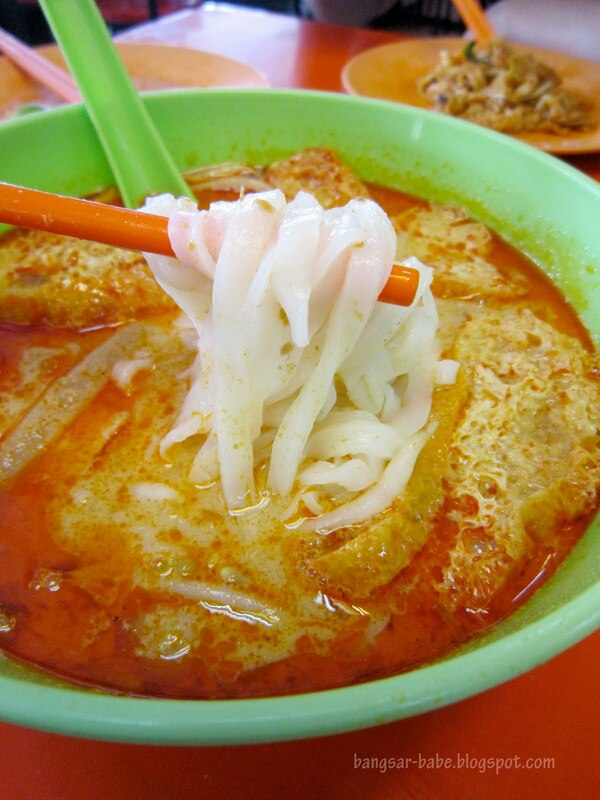 If you’re in search of halal Chinese hawker food, this the place for you. 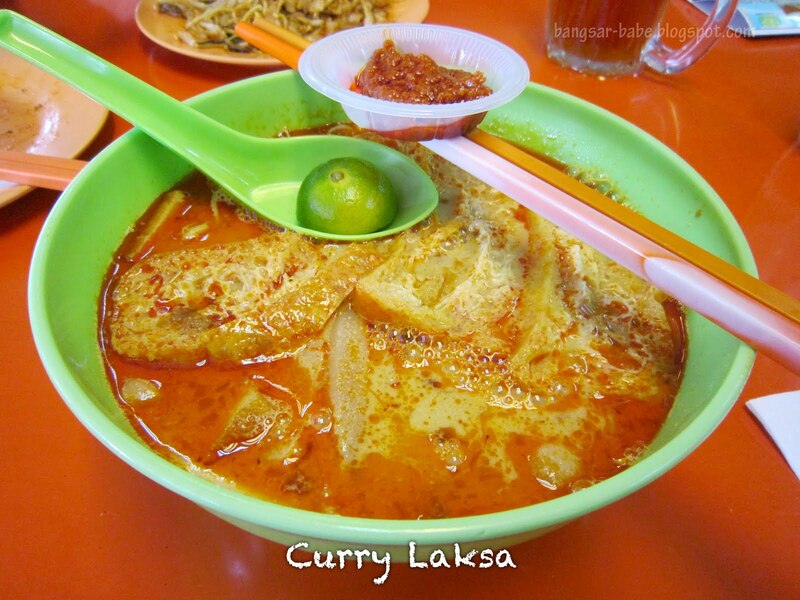 There’s curry mee, chicken rice, Cantonese fried noodles, Hokkien noodles, chee cheong fun and rojak, as well as the usual mamak selection. Verdict: Pretty decent char kuay teow, especially for a halal version. Cockles in malacca are ginormous! MUST EAT ok! I'm a huge fan of those bloody clams! 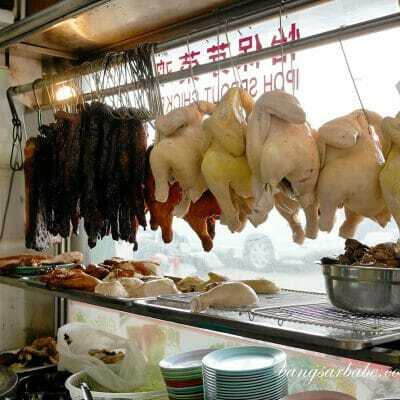 Hi Bangsar-Babe, I visited this place just earlier this month for the first time (with some Muslim friends) – and, while the CKT was pretty good halal alternative, we will probably never go back. We found cockroach eggs in one of our cups! And despite telling the staff about that, they acted as though it was nothing. 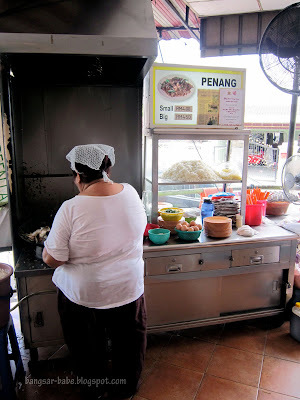 Aunty gemuk keoy teow memang makan dulu tapi dah berhenti makan. Tak ada kerbersihan langsung. Malam org keoy teow hantar dlm kotak letak kat luar tepi gerai malam tu i nampak tikus dlm kotak dok makan keoy teow.Sebelum kita makan tikus yg jilap dulu.Dah beritau boss kedai tapi tak indah langsung.So i STOP makan. I was lookin forward to try this place out as it’s hard to find halal chee cheong fun & ckt in Klang Valley and those r my favs! Till i read Paul and Christina’s feedback tht i.. 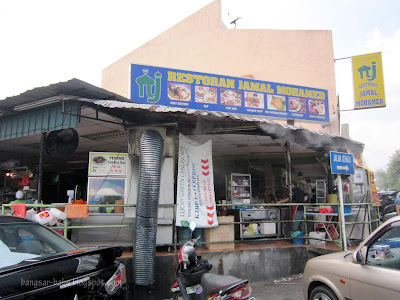 Lately, this is the place I go to for halal CKT.